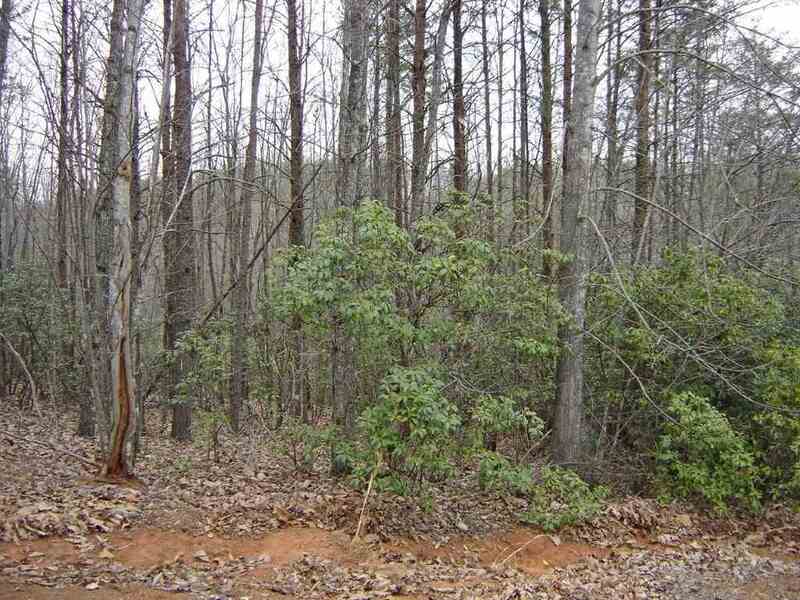 South Mountain Peaks 1.19-acre lot with gently rolling land on a private paved road. This lot is beautiful woodland and level with the road. The price is irresistible – and under tax value, making it a good lot to pick up now for a build later and there's no time limit imposed on when you have to build. This area is abundant in wildlife and I've scattered deer and turkeys in the neighborhood more than once. South Mountain Peaks has all underground utilities, it is on about 475 acres with fewer than 200 homesites, the HOA $430 a year. All the roads are paved. This is one of several Fall Creek Developments in lovely Golden Valley Township. This rural retreat is the perfect place for a getaway, and a wonderful place to disconnect. About halfway between Charlotte and Asheville. The nearest stoplight is 15 miles away, but it's less than 20 miles to Forest City's Walmart. Are you ready to set your clock to South Mountain&apos;s time?